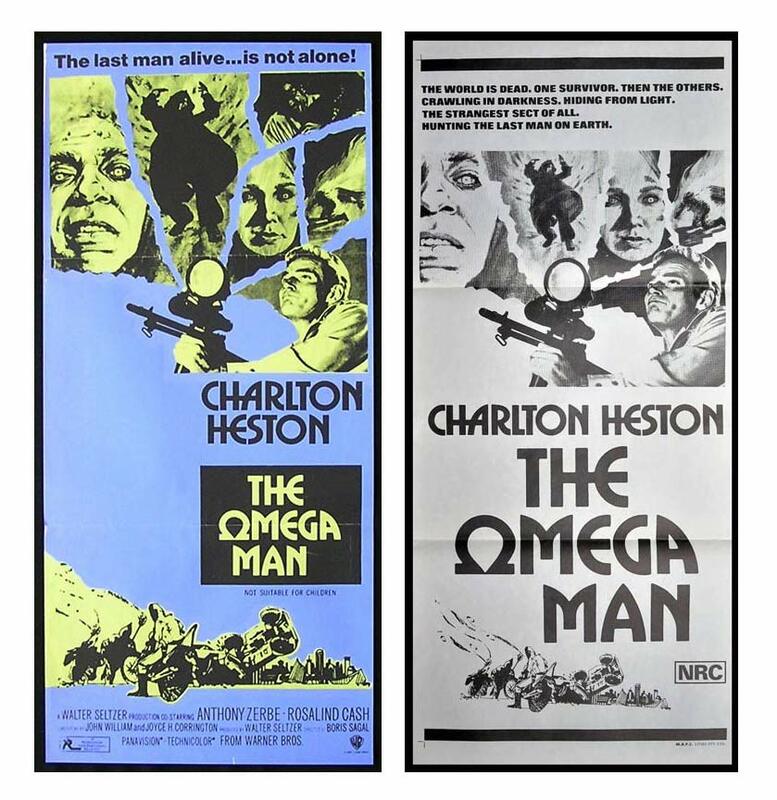 News | Moviemem Original Movie Posters - THE OMEGA MAN Daybill Movie Poster Original or Reissue? The Omega Man is another daybill that is regularly misrepresented on ebay. There doesn't seem to be any inclination for ebay to take any action about these things and there are a great many examples of similar errors that go unchecked. The Omega Man was released in 1971 and the original daybill is a full colour Royeltone printing. Note the Not Suitable for Children reference which indicates clearly that the poster is pre 1972. Another black and white version, printed by MAPS was released later. The NRC rating indicates that it was printed after 1972. Someone will purchase the black and white version thinking that it is original and that is one of the many pitfalls of buying on ebay from inexperienced sellers.